National Young Farmers Coalition | Meet Casey: "I’ve finally found the farm I hope to spend the rest of my life on"
Meet Casey: "I’ve finally found the farm I hope to spend the rest of my life on"
Welcome to the arid West! 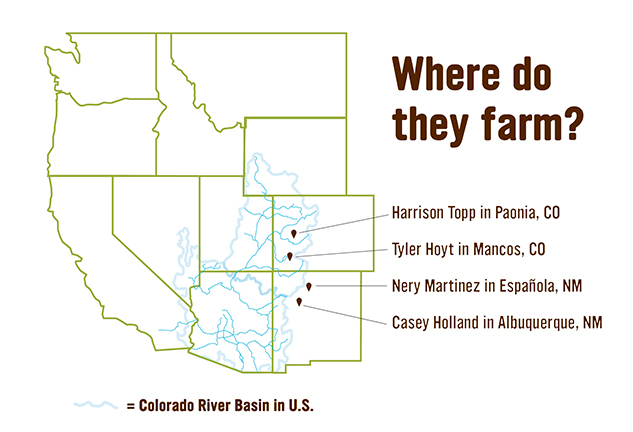 Follow our series as four young farmers/ranchers from Colorado and New Mexico write about their experiences with water access and explain everything from what it feels like to clean a 400-year-old acequia to how they’ve learned to make the most of the water they have through conservation and crop selection. To help you understand the terminology around water access, we’ve put together a short glossary at the bottom of this blog post. It’s been raining the last few days. Not the deep, penetrating rain that all farmers hope for, but instead the fickle on-and-off showers that leave you wishing for more. I grew up with the sort of weather that leaves you scratching your head and wondering what happened while enjoying the sweet scent of earth coming to life with moisture—the kind of weather New Mexico is known for. I grew up in the small southern New Mexico town of Deming. In my youth, afternoon showers were common, and in the summertime we all eagerly anticipated relief from the daily heat. Summertime not only meant evenings playing in puddles, but for my family it also meant gleaning seconds from the large onion, pumpkin, and corn fields surrounding our small town. We were hungry, as were dozens of other families in similar situations, and the food left in the fields was one of many ways we were creative so that we would have something to eat. New Mexico has one of the worst rates of both child and adult hunger, with one out of every five people receiving SNAP Food Stamp benefits. My mother grew up on a large farm in Belen, New Mexico but thanks to the convenience culture of the 1950s and ‘60s, she lost touch with the land, so gleaning was really my first introduction to formal agriculture. After I grew up and went to college, I rapidly realized the importance of agriculture as a means to directly address some of the most pernicious challenges facing my community. Farming is an integral part of New Mexico’s cultural heritage—some plots of land in Albuquerque are the longest continually farmed places in North America. After committing to learn how to grow food despite the constant challenges of the arid southwest, I have worked on many farms in my area and have finally found the one I hope to spend the rest of my life on. 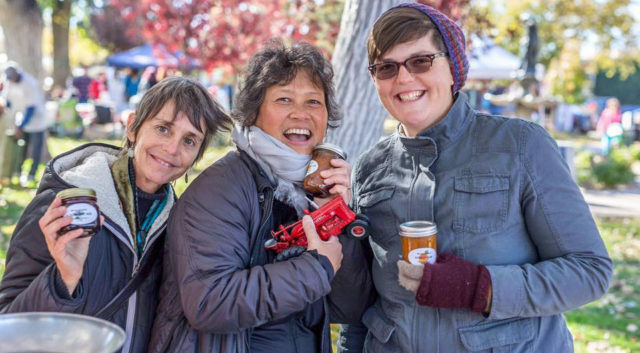 Red Tractor Farm is a woman owned and operated two-acre vegetable farm in Albuquerque’s South Valley. We have a 40-family CSA, sell at Albuquerque’s largest farmer’s market, and are proud members of the Agricultura Cooperative Network, through which we team up with 12 other farms to sell produce to schools and farms around the city. The two women who started the farm are growing older and have agreed to be my mentors in assuming eventual ownership. We have been working together for three years now, and each year I assume greater responsibility. This is my first year as the farm’s manger. Like we all feel after a desperately needed rain shower, I am incredibly lucky. We are also lucky that our farm has access to several methods of irrigation for our crops. Red Tractor is situated along an irrigation ditch known in our community as an Acequia. Acequias are one of the oldest methods of irrigation in the world. They originated in the Middle East, migrated to Spain, and were brought to the Americas by the Spanish conquistadors. We joke that the communally owned and operated Acequia system was the only good thing (other than grapes) that the conquistadors brought with them. 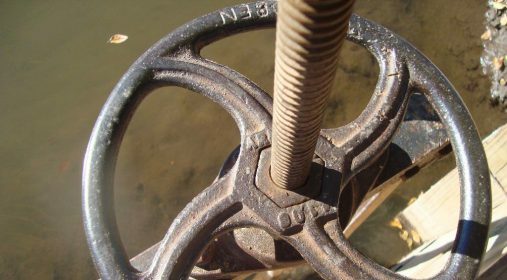 We also use wells on both of our properties, but dependency on those is dangerous for our long-term viability as an entire city also depends on the same precious aquifer stores. We hope to apply for a grant soon that will allow us to filter the Acequia water when we have it and deliver it through the drip irrigation system, so that way we can use the water while conserving more of it. This is, literally, a pipe dream, and seeing as there is only one farm in New Mexico with this technology, it is unlikely to happen. But a farm’s gotta dream, doesn’t it? Then, there is the rain. The precious rain. Last year was an El Niño year. We received more water last year than we had in all of the previous ten years. News outlets heralded the end of the mega drought New Mexico had been stuck in for over a decade. Of course, this joy was short lived as we learned that this year there will be no El Niño to rely on for supplemental irrigation, and the last few months have been the driest in New Mexico’s recorded history. All we can do as farmers in the arid southwest is the best we can. We conserve as much water as possible, irrigate with the most efficient techniques, save seed to increase drought tolerance in our crops, and we hope. We hope that the next rain will be longer, deeper, more sustaining. We hope that we aren’t depleting our aquifer faster than it is recharging, and we hope that there is enough time to get it together before we literally dry up. « previous article: Meet Nery: "I never thought I was going to be a farmer"